Before a cell divides, it makes two copies of each of its chromosomes. 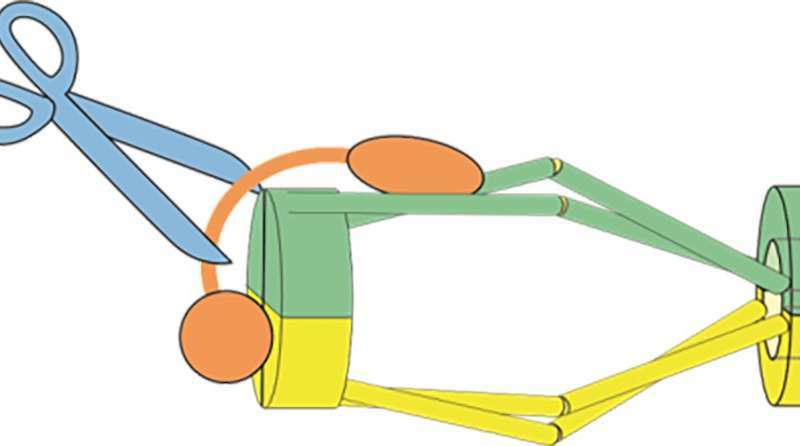 These copies, called sister chromatids, align – and segregate—to opposite ends of nucleus so that a full set will accompany the two daughter cells that will form. In a new study published in Proceedings of the National Academy of Sciences (PNAS), researchers at Okinawa Institute of Science and Technology Graduate University (OIST) is challenging a key aspect of how this process has been assumed to work. 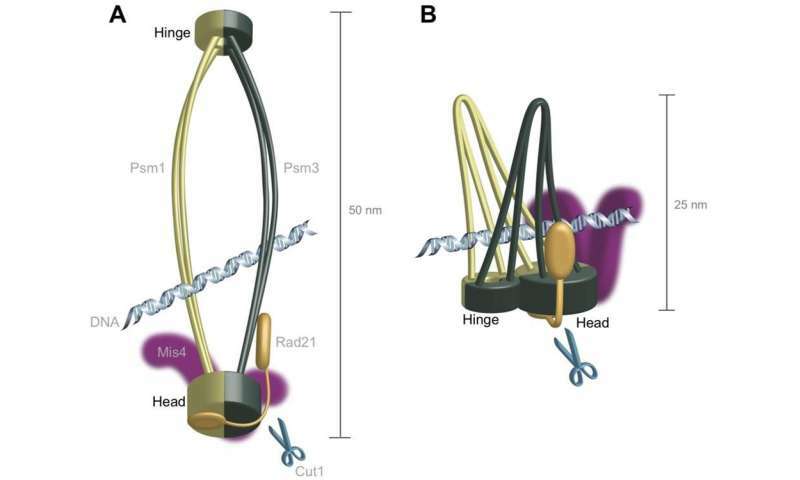 Based on the sequences of cohesin's head and hinge, the researchers constructed a 3-D computer model of the protein complex. The model, created by Dr. Ryuta Kanai and Prof. Chikashi Toyoshima at the University of Tokyo, showed that the second mutation in the OIST fission yeast study couldn't break down cohesin – supporting their observations in fission yeast and adding more evidence that the complex was not ring-shaped.